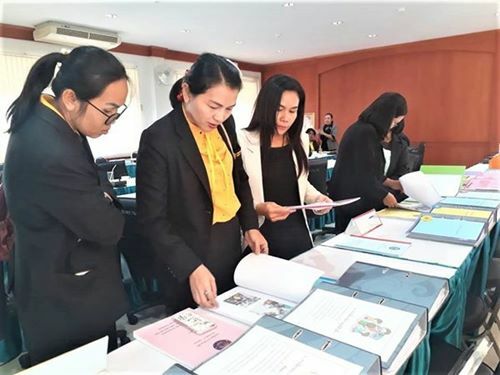 Under the project of ‘Teachers of Childcare Center is the Heart of all Development’, FCYD Foundation has brought lead teachers; head of childcare teachers in each district of Nong Khai province to study successful management of learning classes for early children at awarded childcare centers and kindergarten in Na Pong Municipality, Muang district, Loei province. 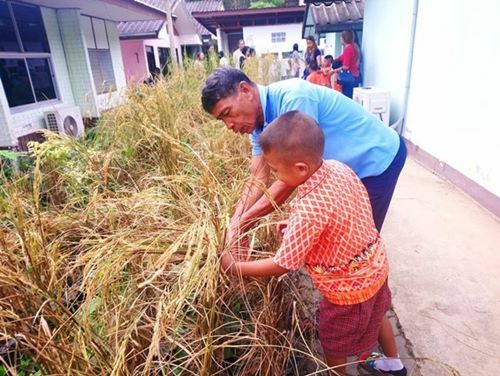 Na Pong Municipality has not only a prominent and outstanding successes of childcare and kindergarten classes but it is also a good promotion and integration of ‘local identities and environments’ into its curriculum. Children are provided to learn new things within a strategy ‘learning by doing’. They have learned ways of lives of their community people, traditions, cultures as well as experiences of growing rice and vegetables. The most recognized award is the project called ‘Golden Waste’. 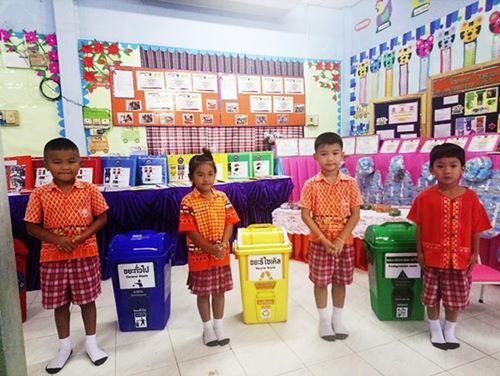 Students have learned an importance of their environments; recycle and reuse. They understand how to keep their school clean and well decorated.